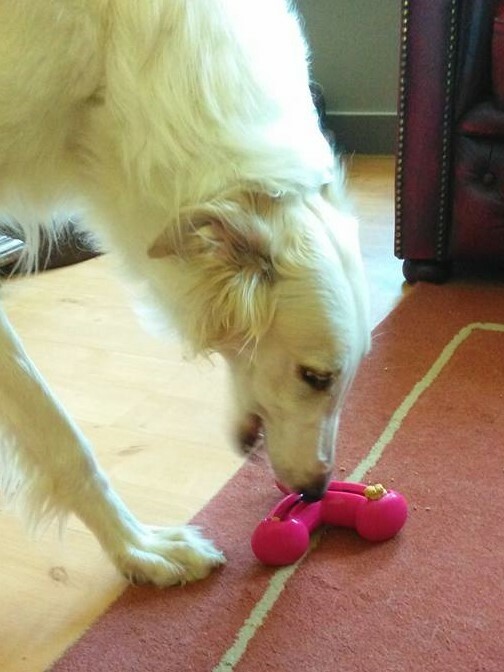 A while ago, I bought this great new toy of Kong for the dogs. 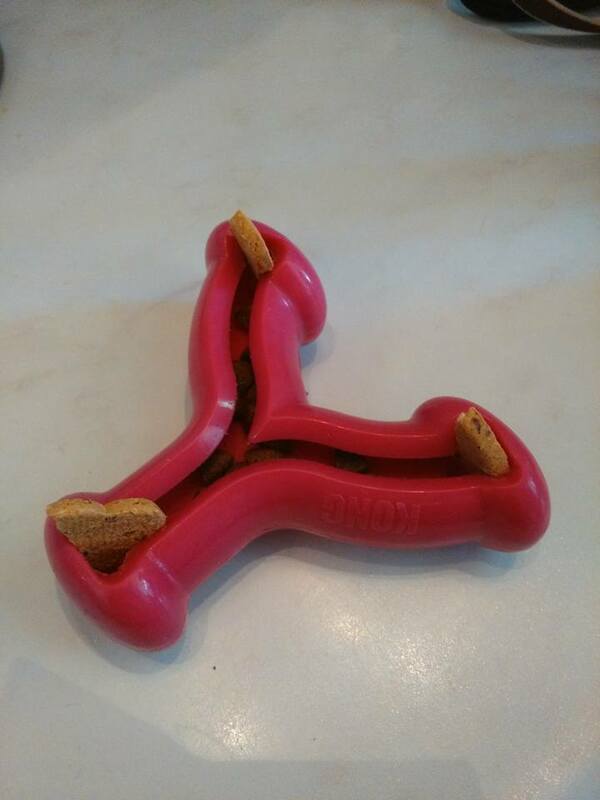 It was looking funny and I tought maybe the dogs would like it. But when I put some foods in it, I found out, that all what I put in, was falling out with the same speed that I put it in. So this toy had been in my closet for a few months, and all of a sudden I came up with this idea. 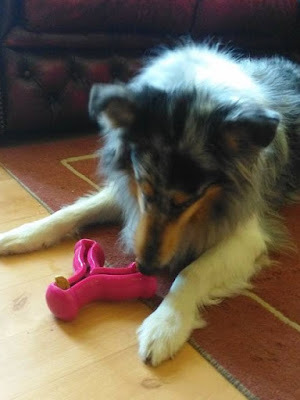 This week arived the new Woefbox, and I had some sample food and dogbicuits in it, I put the food in the Kong, and on the edges I did half a biscuit, so the food wouldn't get out that easily as it did, first time I used it. It worked!!!! 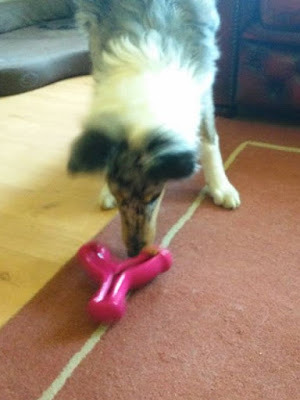 Judy and Vivien found it most easy, they just trow around the Kong, and all the food just comes out, no problem. Scarlett was a bit confused, because normally she gets food in an easy way and this was a bit harder. Even both puppies and Anna had great fun with it. I'm gonna see what foods I can use also for this toy, but in the meantime I think they are pretty happy with this.